And here's the #12 Williams/Klass Dino out on track... Note the added brake markers for the first of the two banking chicanes. 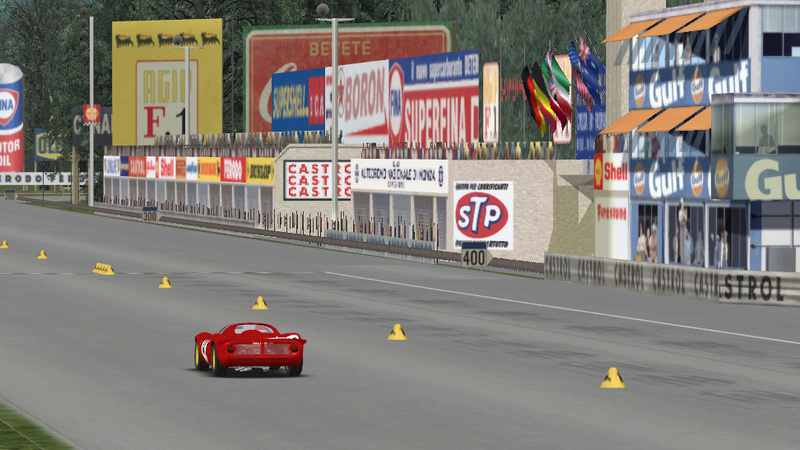 I'm also working on updating the rest of the Monza track. On the pic, the Gulf building to the right now uses some really great textures from a GPL update. A lot left to do though. As for the new physics and performance characteristics for the Dino, I just set a time of 3:09:775 around the Monza 10.1 km track (including the chicanes). The real SEFAC entered #12 car did a 3:08.800 in the 1967 qualifying session so pretty accurate at least timewise! 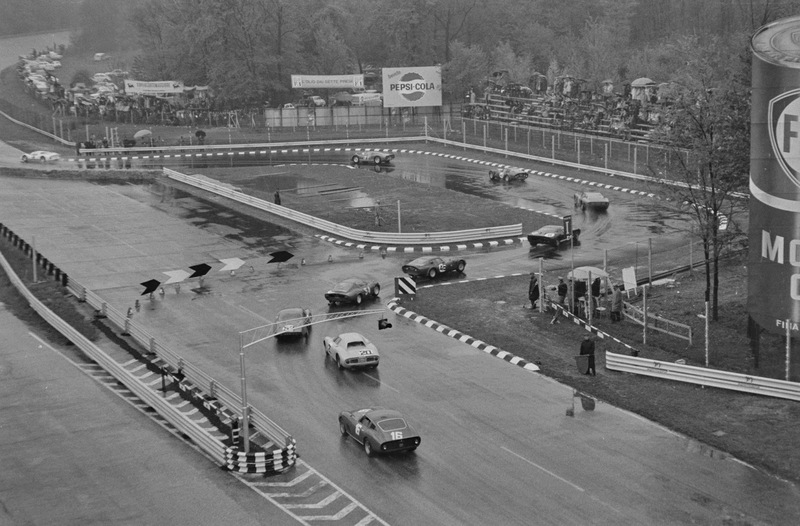 I prefer the chicane they had in '65. If only that stupid aiw editor would work on Win10, I could make both '65 and '67 versions easily. Nice Ferrari! Is it available for download? Nice work! watched the video... HOLY CRAP!!! V6 sounds are amazing! Rodriguez was a wild man in one of these. That only has the LM skins and configuration. There is a full version with race-by-race specs and skins on UMD. Sorry, didn't realize at first that this was for GTR2. I'm mostly a GTLer. I didn't see the 206 in the GTL version. ??? I would try and contact the topic starter antoniog7772 and see if he could reupload the Dino files.